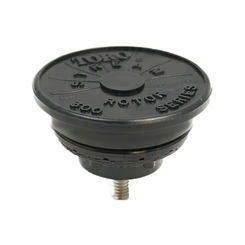 Nozzles are found inside of a sprinkler head and it is the part that determines the amount of water that is released. 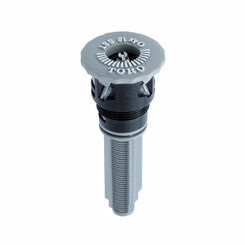 There is a wide variety of sprinkler nozzle types to choose from which can make the decision a bit overwhelming. There are a few things to consider when buying replacement nozzles. If you can’t find the information you need, please contact our professional staff for help with your inquiry. PlumbersStock offers great prices and a large selection of sprinkler accessories. 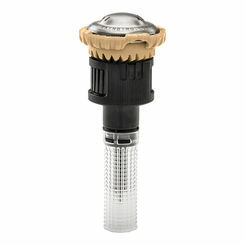 The right sprinkler nozzle type can ensure the right amount of coverage. What exactly does head to head coverage mean? In short, it means that the water spray will reach from one spray head to the next. Historically, it was believed that it was adequate to have 70% coverage with your sprinkling system. This would mean that the distance your sprinkler spray reached would overlap 70% of the next sprinkler’s reach. However, there has been more research conducted in this area and it has been determined that 70% overlap coverage is nor adequate. For the best results the spray from your sprinkler head should reach all the way to the next sprinkler head, providing for 100% coverage. This is where the term head to head coverage comes from. 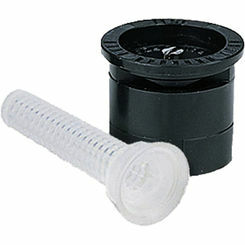 Adjusting your sprinkler nozzles for 100% coverage will have your lawn looking great. If you do not install your sprinkling heads in order to ensure for head to head coverage, your lawn may develop ‘donuts’ or yellowish grass in a circular shape. These donuts are unsightly and can be avoided by ensuring head to head coverage. GPM stands for gallons per minute, meaning that it is a measure of the gallons of water that will be applied to the lawn every minute. This is an important measure to consider when deciding on which sprinkler nozzle to purchase. 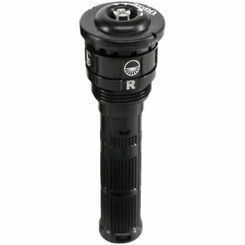 Most manufacturers will have charts that detail the GPMs for the various nozzles. Remember to also consider the size of your pipes. 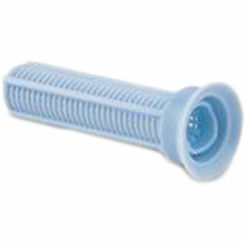 If you, for example, have a ½ inch pipe then it will deliver less water to the water spouts. If the pipe size does not correspond with the GPMs, it can cause for inadequate pressure towards the end of the sprinkling line. A ¾ inch pipe will generally handle 11-13 gallons per minute, so make sure to find corresponding pipes and gallons per minute. Another thing to consider when it comes to the size of your irrigation nozzles is the pipe size. 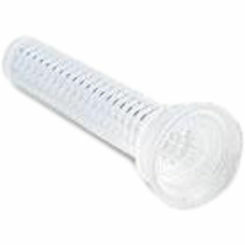 If you have smaller pipes then you will want to buy corresponding nozzle sizes. 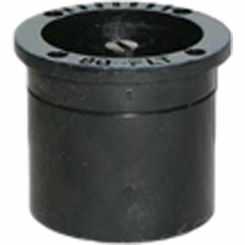 These smaller nozzles will emit a smaller amount of water and will water for a longer period of time. Remember, if you buy smaller sprinkler nozzles you will have to place them closer together to ensure head to head coverage as they will not emit a spray as far as large nozzles. There is a screen often installed in pop-up sprinklers that help to adjust the water pressure and size of the water droplets. There is a screw on top of the sprinkler that adjusts the spray. If the screw is tightened too much, it can cause for a fine mist spray that will easily be blown away in the wind. 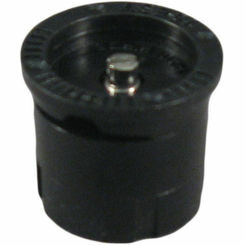 For this reason, it is important to avoid tightening the screw too far. You want to have more of a droplet type of spray rather than a misty spray. 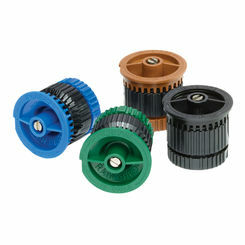 Toro Irrigation makes some of the best nozzles in the irrigation world. We carry every kind of Toro product at discount prices so you will be sure to find the part you need here. 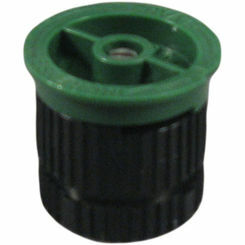 Rain Bird nozzles for sprinkler head replacement are also known for their quality manufacturing. 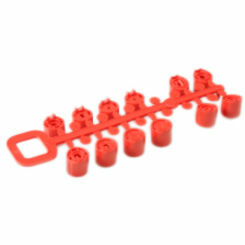 Orbit sprinkler parts are built to last and you can be sure that includes their nozzles. 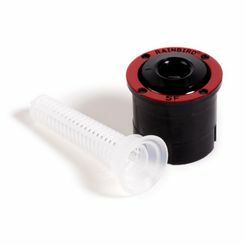 In addition to those trusted names, PlumbersStock boasts sprinkler product by K-Rain, Weathermatic, and more. If you are looking for discount lawn and garden products you have come to the right place.  PlumbersStock offers all the sprinkler parts and accessories you could possibly need at very affordable prices. 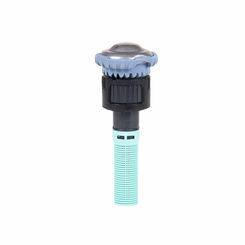 Put our service to the test and choose from among the best sprinkler system parts!